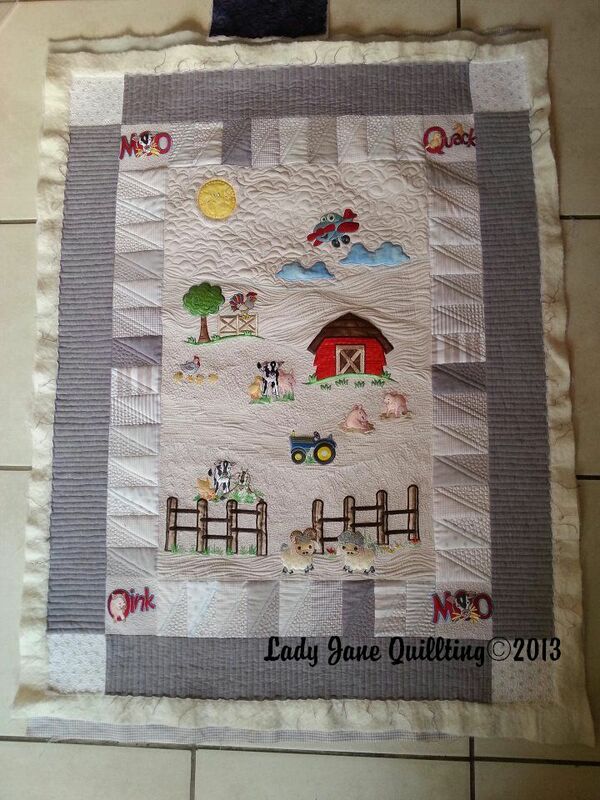 I’m sharing a baby quilt that I have done last week. Beryl did the piecing as well as all the embroidery. I did the quilting. It was a nice small project to work on so I did this one on my Bernina Aurora 440 instead of the Frame. Loved it!